Corp Scan provides all type of valuation advisory services viz valuation for visa purpose, sale/purchase, M & A, IFRS/financial reporting, investment purpose, valuation for central government taxation under direct tax laws, lender engineer, mortgage and for partition of properties etc. To address the issues pertaining to law, economics and engineering CSG has a team of chartered engineers, approved / registered valuers and professional legal practitioners. Corp Scan Group has a battery of chartered engineers and approved / registered valuers to undertake the costing & valuation exercise. Costs and its components are worked out scientifically and methodically. It is as per the laid down related norms and principles. 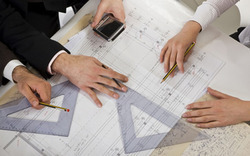 Valuation of material, machinery and premise is undertaken by chartered engineers. Subsequent to detailed study, a comprehensive certificate to the effect is issued by us. Costs are conditioned by age, usages, application, depreciation, source, material and technology input. The assignments are attended by specialist cost consultants. 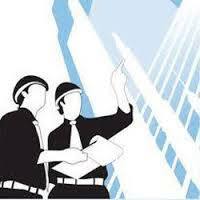 Corp Scan Group has a very systematic and multi-dimensional approach towards Costing & Valuation. Upon appointment as authorized valuers by the client, we accomplish the assignment as per the norms of Ministry of Finance - Government of India / Institution of Valuers. Approved scale of fees is charged for valuation. The certificates are issued as per the respective formats for Immovable property (F01), Agricultural lands (F02), Plantations (F03), Forest (F04), Mines (F05), Stocks & Securities (F06), Machinery and Plant (F07), Jewelry (F08), Works of Art (F09) and Life interest & Expectancy (F10). At Corp Scan for a pre-determined and specified purpose, valuation of property is undertaken by authorized valuers. The certificate to the effect of valuation of property is issued as per the prescribed forms and formats. It may be for immovable property, agricultural land, plantation, forests, mines & quarries, machinery & plant, jewelry, work of art and life interest. Valuers For Loan : Towards raising of bad debts in the economic and financial operations, we provide highly effective Valuation Services For Loan to our esteemed patrons. Our enterprise conducts basic verifications, wherein we plan ways of stopping defaulters from availing money and loans by way of manipulated and false documents. Clients can avail these services at market leading prices. Plant & Machinery Valuers : We have broad experience in evaluation of industrial assets. Corp Scan work with organisations of all sizes, tailoring its expertise to the client needs. Our Valuers have gained experience over many years in a wide range of industry sectors. We commit ourselves to providing prompt, competent valuation services. Our plant and machinery specialists are able to identify the true value of your property and its contents. Our valuations are based on prudent assessments by fully qualified and knowledgeable individuals. CSG has been conducting valuation for plant & machinery in the areas of Power, Steel, Sugar, Textile, Chemical, White Goods, FMCG, Food & various general engineering industries across the country. Industrial Valuers : We are one of the leading service providers of Industrial Valuation. Corp Scan experts provide the valuation reports which are well tested as per the quality standards. In order to meet clients� satisfaction, we offer our services within the stipulated time frame. Our team members are highly experienced who have the in-depth knowledge of latest market trends. Furthermore, our valuation reports are made after complete analysis and market research.